Two notable performances were missing from Sunday’s Olivier Awards. The first was that of André De Shields who, for my money, gave one of the musical performances of the year in the National Theatre’s production of Hadestown. The second was that of Bonnie Langford, who joined the West End production of 42nd Street in the role of formidable Broadway diva Dorothy Brock for its fourth and final cast change, and who made the part her own. Langford is a musical actor I have always admired and whose long and distinguished career deserves greater respect from the British theatre industry. De Shields is a Broadway legend and an actor who, like Langford, is consistently good in everything. Part of the reason is that when watching them, you see old-school performance discipline and professionalism. That’s evident in the detail of their craft and the subtlety of their performances. They are the sort of actors every drama student should watch to learn from their technique. De Shields’ appearance in London was an event that went by relatively unnoticed. That he received no recognition at the Olivier Awards is disappointing. Langford was not eligible for an Olivier as she was taking over a role. However, this rule seems ambiguous as there have been times where such a thing has happened. In 1997, Robert Lindsay won best actor in a musical as Fagin in the West End revival of Oliver!. Six years later, Alex Jennings won best actor in a musical as Henry Higgins in My Fair Lady. On both occasions, these actors had assumed roles originated by Jonathan Pryce. 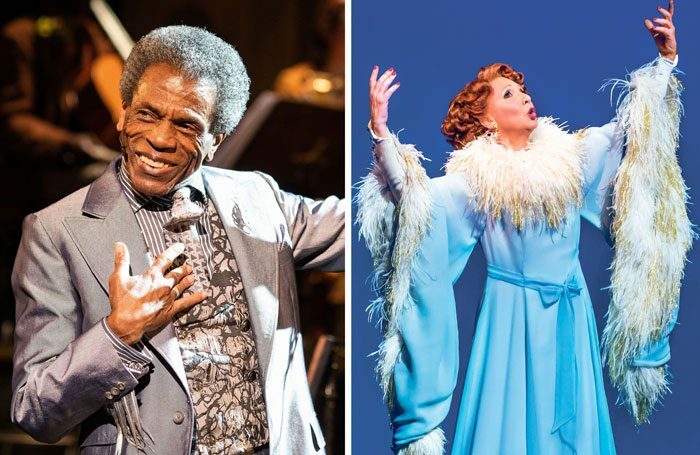 There is an argument for the Oliviers to add a category for ‘best musical performer in a takeover role’, particularly as we see more musicals extend their runs. The WhatsOnStage Awards have always had this category, which is voted on by the public. Were the Oliviers to create such a category, it could also be voted on by a public panel, as was the audience award the Oliviers awarded between 2010 and 2016. Such an award would provide an interesting variety of names and serve as a great way of propelling audience and industry awareness for more actors and productions, which can only be a good thing for our theatre economy. One of the most undervalued tasks in the theatre is the takeover in a role. With a show that is rolling forward, the speed of this requires a tremendous agility in the actor. Recently, Broadway actress Penny Fuller had about a week to step into the role of the Dowager Empress in the Broadway musical Anastasia, assuming it from originating actress Mary Beth Peil. After joining the production, Fuller was then confronted with the challenge of performing the role while several regular cast members were on holiday. This meant she began her run performing opposite different understudies and swings every night. Often we do not consider these additional challenges that come with taking over a role. Discipline, training and professionalism are of vital importance, especially as many of these actors will get only a short rehearsal period, rather than the many weeks the production’s original cast members enjoyed. For an audience member, wonderful and revelatory moments can be found in the experience of going back to watch a long-running production and seeing how a new injection of talent can change it. Rarely are these productions re-reviewed by critics, which is a shame. This increases the importance of the audiences who share, through discussion and forums, their theatregoing experiences. It can make these cast changes more visceral and even as significant as the original actors who created them. In 2007, I returned to watch The Phantom of the Opera in the West End, which starred Ramin Karimloo in the title role. His performance was on a par with that of Peter Karrie, who took the same role in 1991. Karrie is one of our great musical theatre actors, but he’s rarely given the credit he’s due. He was the greatest Che Guevara I have ever seen in Evita – a part he played in 1987 on the first national tour of the West End production – and in 1989 he was an impressive Jean Valjean in Les Miserables. In Hadestown, De Shields had an even harder task stepping into a production that was still developing from its early Off-Broadway roots and becoming a main-stage, large-scale production ready for Broadway. He replaced the original actor – a task that requires its own sensitivities – and needed to make his mark on the role, as well as quickly integrate into a company of new and originating members. That’s crucial, as ultimately it’s the support and respect of the company that helps get any actor through those nerve-racking first performances as they make the part their own. As Langford and De Shields both demonstrated, this requires real skill. When it comes to our annual major theatre awards, the many actors who undertake these lead or supporting roles throughout the year deserve far greater recognition.